Price: £4.49 (incl VAT) Sorry, this product is no longer available. 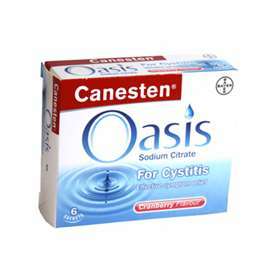 Now Available CanesOasis Cystitis Relief Oral Solution Cranberry Flavour (6 Sachets). Product code: CAN632Q Price: £4.49 (incl VAT) Sorry, this product is no longer available.